Blogging can be a fantastic way to earn a good income. So why is it that the majority of bloggers don’t make any money? More often than not, the problem is that people choose a blog monetization strategy that doesn’t work well for their niche or current situation. In this article, we’re going to take a look at how to really monetize your blog even if you are not making money now. We’ll look at 5 strategies and how you can make the most of them to monetize content. You’ll also learn whether you should even use a specific strategy. By the end of this post, you should have a good sense of how you can join a growing community of bloggers who are successful with website monetization. Before we get into that, I want to start off with a few business facts to help you understand your best business model for monetization. Have you ever seen a wildly successful blogger who makes a ton of money every month? Right then you think, I am going to use this successful person’s blogging strategy. So, you implement and then nothing. You don’t make money but that person still is. Here’s the problem. That blogger has a completely different business model than you. When you implement their monetization strategy, it just doesn’t work. For example, let’s say a top blogger has a huge following and an email list of 100,000. They blog daily without skipping a beat, create and sell their own products, and send out emails to their list every day. They make money each time they send a new offer to their list. You think, Wow! This is exactly the blog strategy I will use to monetize my blog. 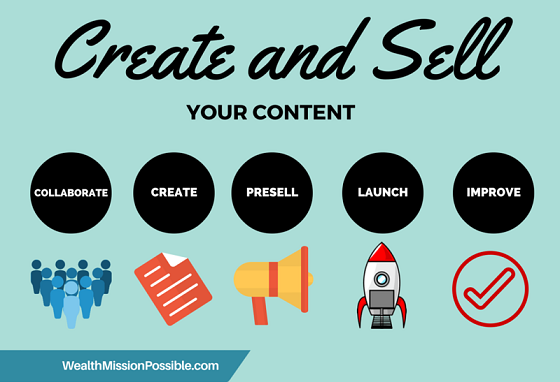 So, you write blog posts every day, send emails to your list and make offers. But you are not getting the same result. You can’t sustain a daily blogging schedule. The quality of your blog posts suffers. You can read more about that here. You are getting very low traffic. You subscribers list is too small. You don’t have your own product. You see, your business model is completely different from someone who already has a huge following and a hundred thousand subscribers. Plus creating your own product when starting out is unrealistic. Instead, choose a more realistic monetization model like affiliate marketing, work on driving traffic and building community. To do this, write high-quality content a couple of times a week and promote the heck out of it, while connecting with real people in social media. Take a hard look at your own business model before deciding to follow another blog monetization strategy that may not be feasible for your blog at this time. Have you ever seen advertisements on blogs? It looks like a simple blog monetization model. People will click and you make money! Advertising is usually the first method that new bloggers think of for an income producing method. Here’s how it works. You display ads on your website from an ad network. A familiar ad network is Google Adsense. Once you signup for the program, you can grab some html code to include in a website sidebar or blog post. When a reader clicks the ad, you make money based on a pay-per-click model. This type of monetization is based on CPM or cost per thousand impressions. It might look tempting and easy but here’s the catch. Again, let’s go back to the exact business model. For example, The Huffington Post earns about $2,330,000 monthly from pay per click ads. The reason they earn so much is they get millions of visitors a month. 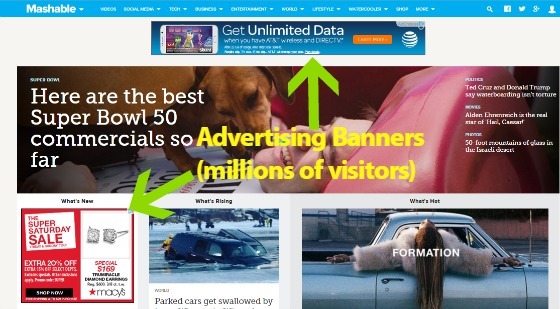 Mashable earns about $600,000 per month from advertising banners. Again, they get millions of visitors on a monthly basis. Is this a good monetization strategy for you? Probably not. If you are just starting out with blogging, you likely don’t have your own product to sell. That’s where affiliate marketing comes in. When I started my website many years ago, I was an affiliate for Sharper Image. Remember those Ionic Breeze Air Purifiers? Well, I was one of their top selling affiliates and sold over a quarter of a million dollars worth of the purifiers. The company went bankrupt soon after some legal troubles and that was the end of that! So, what exactly is affiliate marketing? It’s a way to sell other people’s products. These can be physical products or digital products. You add affiliate links to your blog and when a visitor clicks through and makes a purchase, you earn a commission. When choosing affiliate programs to monetize your blog, I highly recommend you choose carefully. It takes the same amount of work to promote products that earn a 5% commission as for one where you earn a 50% commission. For example, Amazon has fixed rate commissions between 4% and 10%, depending on the type of product. They also have volume based commisions where the more you sell, the higher commision structure you get put into. On the other hand, you can find digital affiliate products that will pay you 30% to 50% commissions. 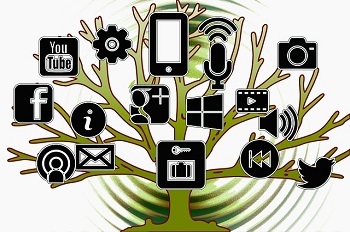 Many people go wrong with affiliate marketing because they believe that just adding a few affiliate links to their blog will earn them a nice income. You need a strategy that works, not luck. For example, if you love a certain skincare product and have a beauty blog, then become an affiliate of that skincare product. You can write a review about it as well as other articles about skincare that lead back to that product as a great solution. Add your affiliate links to the blog post and now you have a complete solution for anyone searching for that information. You have a review or other helpful article as well as a way for your read to get the solution! A company or other person created the product. The company provides links and images to promote the product. The company takes care of all the order taking and shipping or online delivery. Keep in mind that when you use affiliate marketing for blog monetization, you are essentially passing those “leads” to the merchant and not adding them to your list. For example, a reader clicks your affiliate link, purchases a product and now they are on the merchant or other person’s list. Before researching affiliate programs to monetize your blog, make sure you have a good understanding of your target market and what type of content you intend to create to help them. 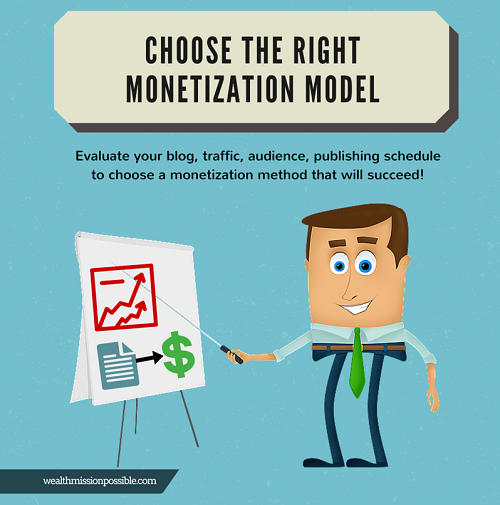 This will help you to choose the right products to monetize your blog. Previously we discussed affiliate marketing where you don’t get leads added to your email list. Remember, your read clicks through your affiliate link and lands on a merchant page. Then they are gone! That’s why you should consider affiliate programs that also generate leads for your email list. For example, you find a great affiliate program with digital products. Each time a visitor clicks the link, they land on an opt-in page prior to seeing the sales page for the product. They fill in their name and email, click submit and the sales page is revealed. 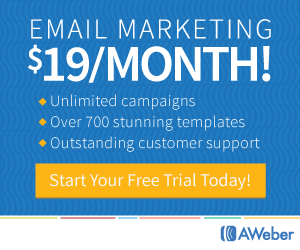 That lead information goes directly to your email subscriber list. I invite you to check out My Lead System Pro, an affiliate program where you can also grow your own subscriber list. I love these type of affiliate programs as a way to monetize your blog because not only can you earn a commission but you also get to grow your own subscriber list. The best part is that you can sell high-quality digital products to help other people who want to market a business online and experience success. These type of programs can be free to join or you can pay a monthly fee to enjoy the membership benefits. I know what you are thinking… monthly fee? Think of it as an investment in your business. 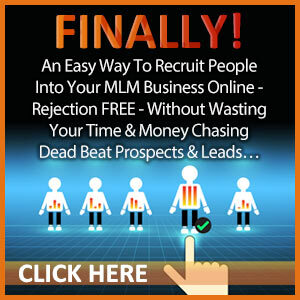 You can earn more commissions and therefore more money. For example, as a free member, you sell a $299 digital product and get a 30% commission. Wouldn’t you rather earn a 100% commission on that product that took you the same amount of work to promote? All the capture pages are created for you so all you really have to do is copy and paste a link. However other tools are available in each program. For example in My Lead System Pro, you get a blogging platform, customer relationship manager, capture page creator and much more! 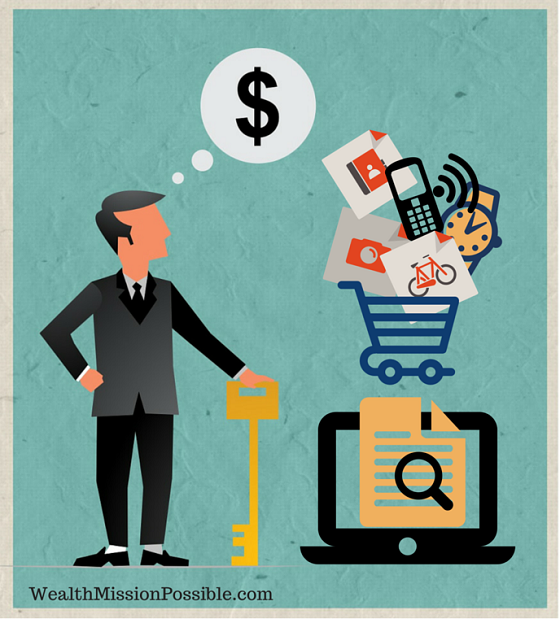 With this type of blog monetization method, you get to continue a relationship with the buyer. You do that through your email list. Now, you can promote additional offers to them in the future. Have you always wanted to sell your own products? After you’ve been blogging for a while and build trust and loyalty from your target market, that is the best time to create and sell your own products. You’ll also have the experience and expertise to create a product of true value for your audience. Selling your products and services is a very lucrative way to monetize your blog. You create the product one time and sell it over and over again. Another benefit is that your buyers become subscribers to your list so you can continue developing a relationship as you move forward. One of the key advantages of selling your own product is that you sell directly to your audience. You are no longer the middle-man getting a commission. However, you are also responsible for creating and delivering the product. What type of products can you create? How would you even think of a product to create? Stay within the overall topic of your blog. For example, if your blog is about social media marketing for small business, you can create a training course aimed at small business owners who want to learn how to market on Facebook. 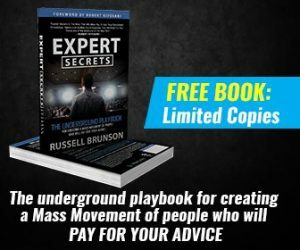 Many people will be willing to pay for your knowledge! What specific aspects of that can I help someone with? For example, if your blog content is about creating and marketing etsy stores, you can offer a service to consult with etsy store owners who also want to succeed. With two powerful ways to monetize your blog through your own products or services, which of these is most appealing to you? Have you ever considered monetizing your blog with a network marketing business? 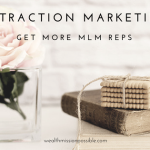 Most people think of network marketing as home meetings, talking to prospects over coffee, or calling people on the phone. Here’s one of the great advantages of promoting your network marketing business through your online content. You get to develop relationships with people who may become customers or business partners. You can take those relationships a step further with education and growing a team that can also experience success in their own lives. For example, I joined a network marketing company in 2009 and decided to create a blog to market my business. Through my focused blog content, I was getting between 10 and 20 customers a day, and personally sponsored over 125 people that joined my business. Seriously, the results were astounding at the time since I had no clue what I was doing. Through blog content, your potential customers can get questions answered about products and make buy decisions. Your potential business partners can make decisions about the business and you! And when you promote your blog in social media, you get the chance for more interaction and relationship building. Monetizing a blog with network marketing helps you to easily sort through the people who visit your website. My results have been amazing. Have you ever considered blogging and network marketing as a monetization method? 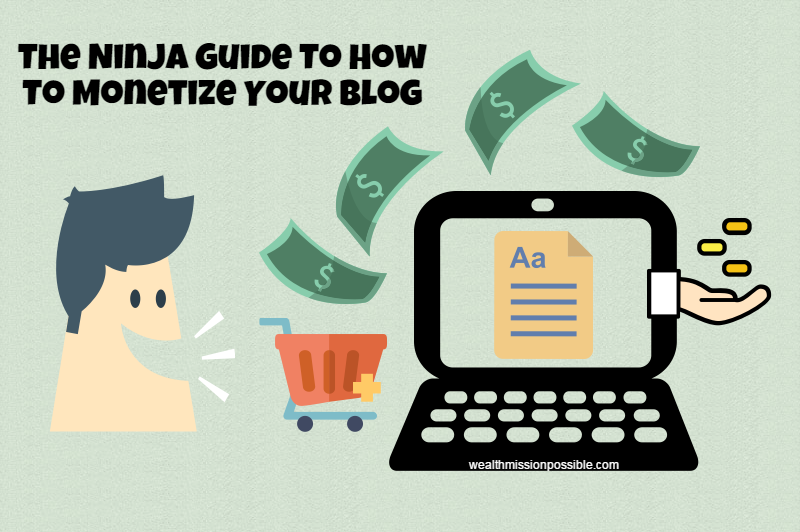 Finding the best way to monetize your blog can be a challenge. As you can see, what works for one blog may or may not work for yours. That’s why evaluating where your blog is in the growth process will you find a monetization method that will allow you to earn income while continuing to grow. I’ve given you five monetization methods as well some upfront things to consider before choosing one. How are you monetizing your blog and what recommendations can you add here? I have tried only Adsense and Affiliate marketing to monetize my blogs. Maybe in future as my blogs will grow I might try other methods too. Hi Imran! Thanks for stopping by. Were you happy with the Adsense results or did the affiliate marketing perform better? One huge thing that I picked out from your article is that people try to copy others who are already successful. When in reality they need to do what they did to get there. A monetization strategy working for a website with millions of views isn’t going to work for someone who is getting hundreds. I often recommend two things to bloggers starting out. Start with affiliate products but not just any affiliate product. Start with a product you truly believe in and support 100%. Promote it with everything you have. From there transition to creating your own products. By starting as an affiliate you start to learn how to make people buy, how to write emails that convert, how to write content that converts, etc. But eventually you want to start building your own products. When your an affiliate you are building someone else’s business. You are sending your traffic to them. 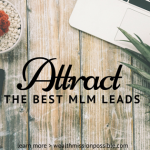 Its a great model to start with but eventually you want to focus on building your own assets and have affiliates sending you traffic and building your business. Exactly. There is a process to follow at the beginning and your strategy should change as your blog evolves. Thanks for your recommendations. Affiliate marketing is the perfect way to start. I agree that it should be a product you believe in. That’s another way where bloggers go wrong. Promoting something you don’t care much about doesn’t work. I appreciate your awesome insights! Have an amazing day. This is a very timely post for me as just today I was looking at my site and thinking what else could I do to monetize my place a bit more. I really don’t want to have Google Adsense ads everywhere and I think I already have too many banners on my site. Actually I’m going to remove some today as I think many folks have “baner blindness”- well they do when it somes to my place anyway. Up until now I have been hesitant to promote my main affiliate relationship on my blog apart from some “in post” links on rare occasions. Sure I’m extremely proud of my affiliate relationship but my focus has been on building my mailing lists and then over time promoting my affiliate offers to them. But the idea of a review struck a chord with me. As my target audience is in the internet and affiliate marketing space rather than write a review I will create a series of posts about affiliate marketing and then blend in my main affiliate marketing offers. I’d feel more comfortable doing it this way and it hopefully it may be more effective. I also have created my own product (well one at least) but again have never considered promoting it from my blog. Used solo ads previously with mixed success so will relook at the idea of promoting it from my blog as it too fits into the same target audience niche. Have shared for you as well. Always a pleasure when you stop by! Glad this post was timely for you. I believe the Adsense only works for big brands with millions of views…we need a whole different strategy. Interesting that you’ve hesitated to promote your main affiliate program. I love your idea about creating a content series and adding your offers into the mix. That is exactly how I acquire leads and customers… through writing about topics that relate to the affiliate solution. I’m excited to read your content over the next few weeks as you always deliver on the value! What a beautiful post you’ve put together here. You’ve made some great points too. I agree with your point about having the right business model. Newbie bloggers need a different model than experienced marketers who already have a following. Even the advice often given about email frequency is nonsense for a newbie with a small list. Daily emails? I think not! In regards to daily blog posts, you’re right on this one too. The new marketer is likely holding down a full-time job, so wouldn’t have the time to produce daily blog posts. Besides successful bloggers don’t just create content – they promote the content too. Another time impost. It’s better for them to create one, possibly two, posts a week and then use the extra time to promote each blog post via blog commenting activities and the like. Your points about monetization are valid although I’m still not convinced that blogging is the best strategy for network marketers to use. Thank you so much! I am with you my friend! I made the mistake of daily emails and it was not a good fit for where my business was at in the beginning. Oh, yes, those daily blog posts! Spreading yourself too thin results in mediocre content that just becomes another in the sea of too much of it already. I believe we must make an effort to create true value content. doing that daily is simply not possible. Interesting that you are not convinced about blogging for network marketers. It’s how I created my MLM business online: blogging, that’s it! It really does work but not using the same exact method of the typical “affiliate marketer” or “internet marketer”. I just wrote an article about it today that you might find interesting. Give it a read and let me know what you think. How to Find Prospects Online. Thanks again for your insights… they’re great ones that really added to the value of this blog post! Starting a blog and make it more popular isn’t easy. But find the best way to monetize it also isn’t easy too. Currently, Google Adsense still the best CPC program to monetize your blog. In additional, there are a few networks that you can join and monetize your blog through its programs: CPC, CPM and more. I feel adsense is one of the best ways to generate some quick revenue. Though,affiliate marketing maximises the profit that one can make with their blog.